We believe dental “Happy Visits” should be a part of your child’s healthcare as soon as they start developing teeth and are available for children ages 1-4 years of age. We find that children who are introduced to the dentist in a stress free and cheerful environment have a better chance at developing a positive association with visiting the dentist and of developing a lifetime of great dental habits! Most dental insurance companies pay for these visits and for our patients without insurance we offer “Happy Visit” discounted packages. Child dental “Happy Visits” are quick and easy and also available for children over 4 who may be a little nervous about their first visit with us. 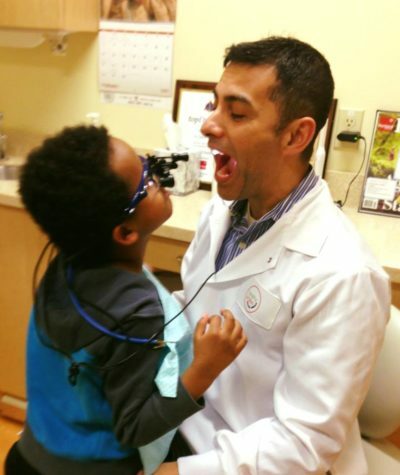 They are also available for patients who have varied developmental abilities and special needs ! 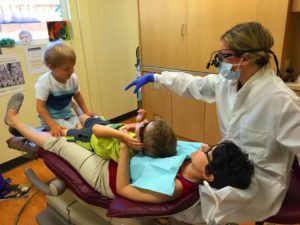 A “Happy Visit” at Healthy Smiles Dental Care includes a tour of the office, a “ride” in the dental chair, exam by the dentist, when possible a teeth polishing, hygiene goody bag and of course a reward from our treasure chest!